Zinedine Zidane's return to Real Madrid has left Chelsea facing more worries about the future of Eden Hazard, according to the Telegraph. Hazard is set to enter the final 12 months of his deal at Stamford Bridge and has spoken of his admiration for Zidane. With no sign of a contract extension being agreed, Los Blancos have reportedly approached Chelsea about a deal for the Belgium international. Zidane has recommended him to the Bernabeu hierarchy on several occasions, and his return to the hot seat is set to put Chelsea in a difficult position, with sources telling ESPN FC that some at the club are resigned to his departure in the summer. A two-window transfer ban would restrict Chelsea's ability to spend any funds from selling Hazard, but they risk losing him for free in 2020 if he stays for a final season. 23.30 GMT: That will do it for tonight's Transfer Talk LIVE. We hope you enjoyed following all the transfer rumours and our Champions League coverage, and remind you to check back shortly for the latest rumblings from around the world of football. Goodnight! 23.20 GMT: Newcastle have been in a rich vein of form of late, having won five of their past eight games. The biggest reason why has been the arrival of talented youngster MIguel Almiron. Now the Magpies are being linked with another talented youngster: Roma's Nicolo Zaniolo. The 19-year-old has been an instant star in Rome, particularly in the Champions League, and is quickly becoming one of the most sought-over prospects in Europe. 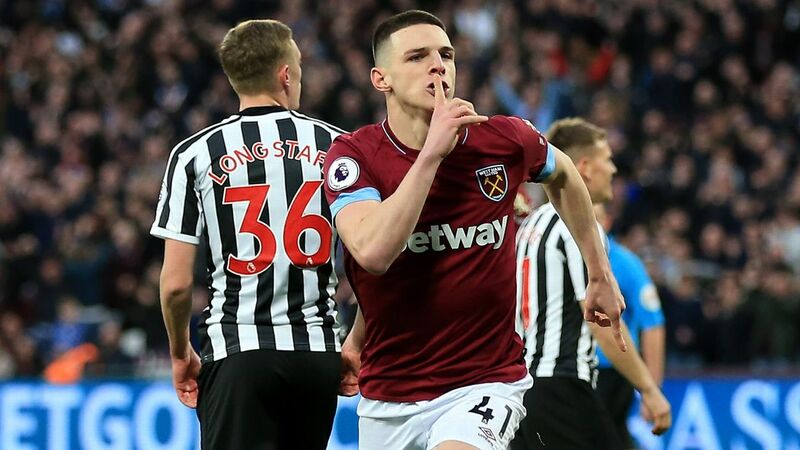 With five goals and two assists for Roma at the ripe age of 19, it is unlikely a club of Newcastle's stature would have a chance at luring the Italian to Tyneside. That said, the fact that Newcastle are even monitoring Zaniolo could hint at added investment and new ambitions for the once-proud club. The Ontario Fury of the Major Arena Soccer League have signed former U.S.international Jermaine Jones. The 37-year-old midfielder, who played for well over a decade in the Bundesliga, most notably for Schalke (2007-14), last played club football for the LA Galaxy of MLS in 2017. Owner of 69 caps with the U.S. (and three with Germany), Jones is the second former U.S. international to join the MASL in recent months, joining joint-record U.S. goalscorer Landon Donovan, who signed with San Diego Sockers at the end of January. Two U.S. internationals signing in the MASL in the last two months, who's next? 22.00 GMT: We mentioned earlier that Jadon Sanchez is a reported target on the wing for Manchester United. Dutch outlet De Telegraaf reports that United have also scouted PSV winger Steven Bergwijn in recent weeks. 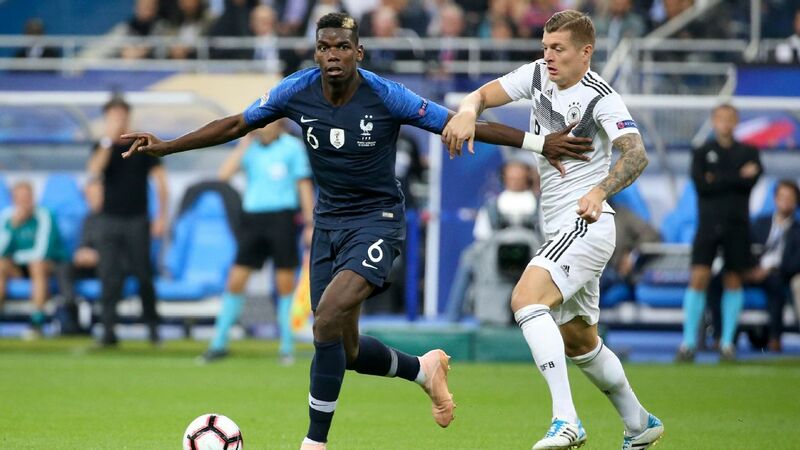 The 21-year-old is quite a sought-after player with Bayern Munich, Liverpool, Tottenham, Borussia Dortmund and Inter Milan also having recently scouted the player according to the same report. The Amsterdam-born winger has already totalled 12 goals and 13 assists this season for PSV and in the past six months has also broken into Ronald Koeman's Dutch side. 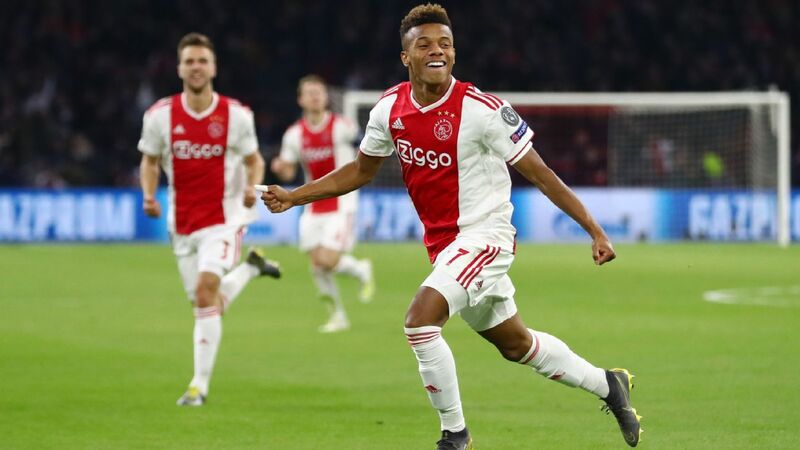 Bergwijn is valued at around £30 million in the De Telegraaf report and although defensive replacements remain the priority, don't rule out United also adding another winger. 21.10 GMT: -- DONE DEAL: Orlando City have announced they have signed Swedish defender Robin Jansson from Swedish champions AIK. The 27-year-old centre-back made his international debut in January with Sweden, and actually scored the goal which clinched AIK the title in 2018. "Robin is a guy that we're excited to bring to Orlando after the success he has had overseas in Sweden," Orlando EVP of Soccer Operations Luiz Muzzi said in a club statement. "This signing continues to build depth and competition within our group for the 2019 season." 20.18 GMT: Man United to splash £80 million for former Man City wonderkid? 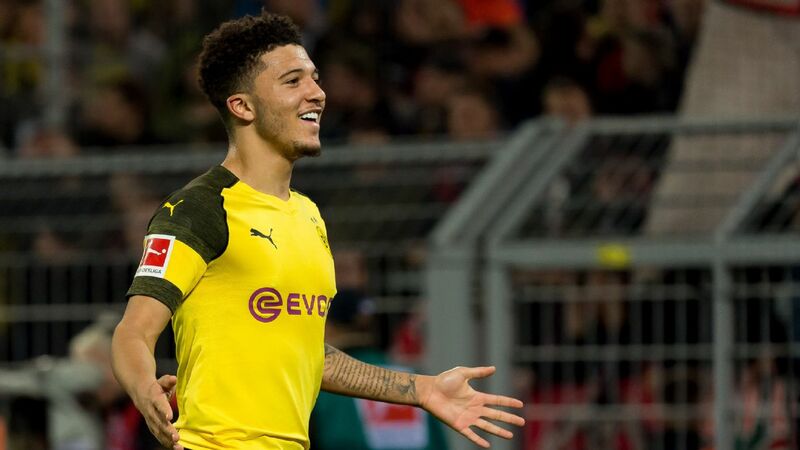 The Independent reports that Borussia Dortmund winger and former Man City talent Jadon Sancho is one of Man United's top summer transfer target. The 18-year-old has been of Europe's breakout stars this season, with Sancho having already tallied nine goals and 15 assists over all competitions for the Bundesliga title hopefuls. Could Sancho return to England and Manchester and stick it to City? That'd add some intrigue to a derby that hardly needs any more animosity..
19.35 GMT: Could West Ham end up landing January target Maxi Gomez after all? The Mirror suggests that West Ham could circle back for the Uruguayan striker and even get him a cut-price rate this summer! The Celta Vigo man, who currently has a release clause of £42 million, would see his release clause plummet to just £22 million if Celta Vigo are relegated. With Vigo currently in the relegation zone in Spain, West Ham missing out in January could wind up being good business in the long run for the club. Gomez scored 17 goals last season but only has nine so far this season as the Galician club fights for its top-flight survival. 18.49 GMT: Newcastle and Southampton are keen on teenage MK Dons striker Recoe Martin, according to the Mirror, which reports that Norwich may also be interested in a player who has starred for the league Two club at youth level. 18.08 GMT: There could soon be quite the race on for Celtic defender Kieran Tierney, with reports on Tuesday linking him with a Leicester reunion with ex-Celtic boss Brendan Rodgers as well as moves to Arsenal and Borussia Dortmund. 17.17 GMT: West Ham are keeping an eye on Malmo midfielder Amel Mujanic, talkSPORT reports, with Leeds also said to be interested in the 17-year-old. 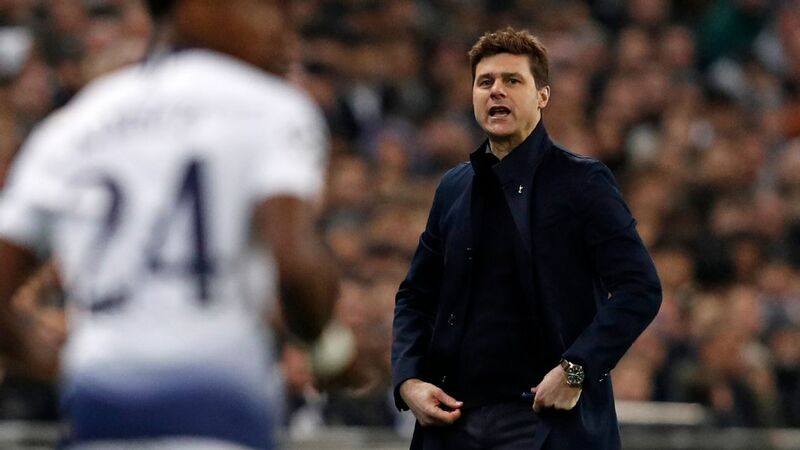 16.53 GMT: More from the Zinedine Zidane-inspired transfer merry-go-round rumour mill: the Mirror reports that he wants to sign Tottenham midfielder Christian Eriksen "as part of a major summer spending spree." It says Zidane is "a huge admirer of the 27-year-old," who will be into the last 12 months of his Spurs deal at the end of the season. 16.12 GMT: Liverpool remain committed to Loris Karius' two-season loan deal with Besiktas, sources have told ESPN FC, but remain in constant contact with the goalkeeper amid claims by the Turkish club's coach that 'something is wrong' with the 25-year-old. The former Mainz keeper was loaned out by Liverpool manager Jurgen Klopp at the start of the season following the £67m signing of Brazil No. 1 Alisson Becker from Roma. Sources have told ESPN FC that Liverpool are aware of the comments made by Gunes but are confident that Karius is settled at Besiktas and happy that he is playing every week, with no plans to cut short his loan. 15.48 GMT: San Jose Earthquakes head coach Matias Almeyda believes the image of MLS is changing and the league is becoming increasingly attractive for top younger players. The Argentine is a recent arrival and thinks the notion of it being a "retirement league" is outdated. "Obviously it's projected that from now into the future [the league] gets better, but I see a big change with respect to incoming players," said Almeyda in an interview with ESPN. "Now young players are coming, whereas before older players that were practically retired came." 15.04 GMT: Denis Suarez will be heading back to the Barcelona bench from the Arsenal bench this summer, and the Gunners are going to need a replacement. Gazzetta dello Sport reckons that man is Milan winger Suso, whom the Londoners scouted in AC Milan's victory over Chievo this weekend. 14.40 GMT: Zinedine Zidane may want Eden Hazard (see above), but there are plenty more players on his wishlist. 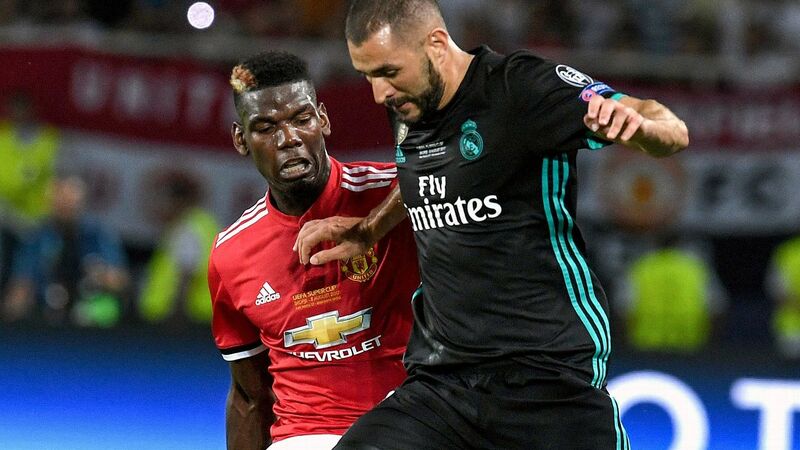 El Chiringuito TV reckons Manchester United star Paul Pogba is a summer ttarget, while PSG forward Kylian Mbappe and Liverpool's Sadio Mane are also high on Zidane's list. 13.46 GMT: Real Madrid winger Gareth Bale plans to "wait and see" how things go with Zinedine Zidane's return to the Bernabeu before deciding on his long term future, his agent Jonathan Barnett has told ESPN FC. The relationship between Bale and Zidane deteriorated during towards the end of last season, but Bale scored a stunning overhead kick goal in the Zidane's final match in charge as Madrid beat Liverpool 3-1 in the Champions League final. 12.50 GMT: We all know who the most famous players in football are, don't we? 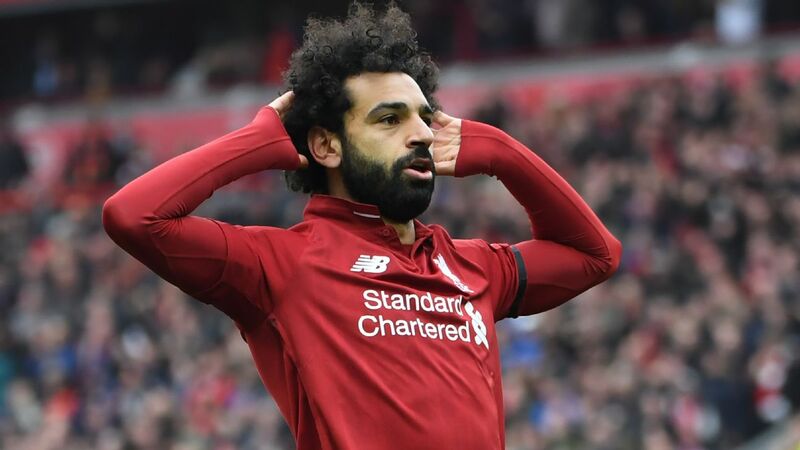 Well you might get a shock or two in ESPN's fourth annual World Fame 100 list -- once you get past the Cristiano Ronaldo, Lionel Messi and Neymar trio. 12.00 GMT: Manchester United have secured Andreas Pereira's immediate future by extending the midfielder's contract, sources have told ESPN FC. The Brazil international has had 12 months added to his existing deal after the club triggered an option in his contract and is now set to stay at Old Trafford until at least 2020. 10.54 GMT: Radamel Falcao is looking for a transfer ... to baseball. The Monaco striker, 33, has told France Football he intends to become a professional baseball player when he calls time on his football career. "I love baseball," he said. "When I was young in Venezuela, where I grew up, I used to play the sport at a very high level. I often speak about it with my wife. I believe that when I finish my footballing career, I'll try out as a professional baseball player." 10.12 GMT: Interesting stuff coming out of a meeting yesterday between Arsenal fans and Josh Kroenke, son of Gunners owner Stan. The Daily Mirror claims that Arsenal "are ready to sell players if they do not renew and have two years left on their contracts to ensure they don't lose any more stars on the cheap," evidently based on comments from Kroenke. That means no more letting players like Alexis Sanchez and Aaron Ramsey run down their contracts and leave for free. 09.42 GMT: Staying with Record, it reports that Wolves will activate a clause to purchase striker Raul Jimenez from Benfica. The Mexico international joined the club on a season-long loan in the summer and scored his 12th league goal of the season in Sunday's 1-1 draw at Chelsea. 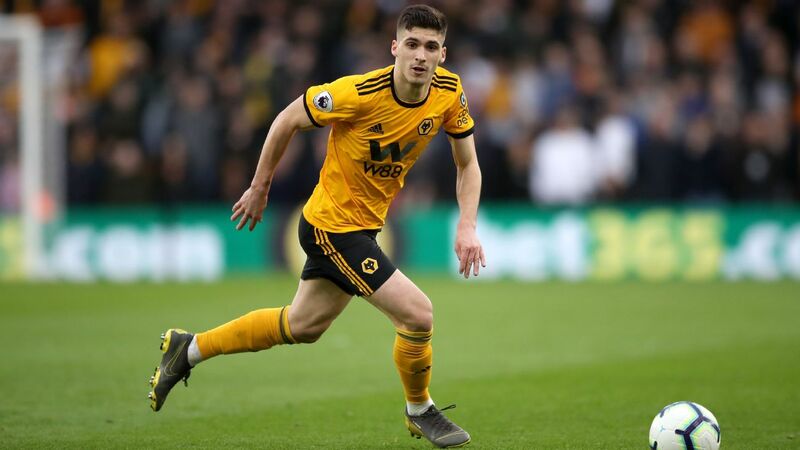 According to the paper, Wolves will pay around €41m to purchase the 27-year-old -- a move that would make him Benfica's most lucrative sale. 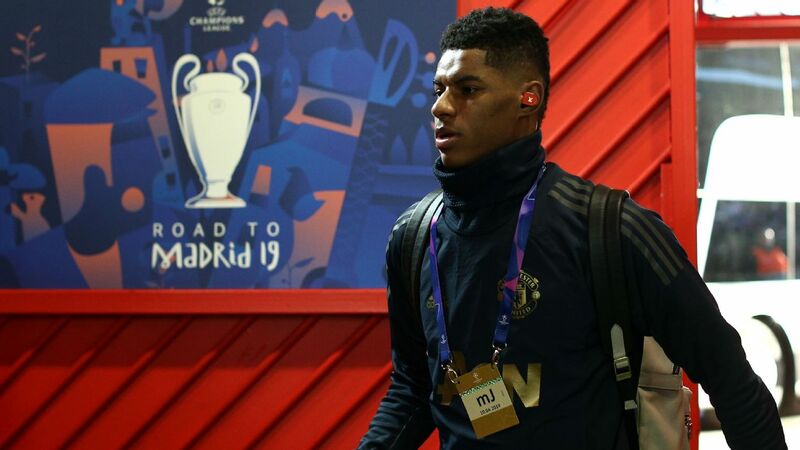 09.00 GMT: Record reports that Manchester United and Roma scouts were at the Estadio da Luz on Monday to watch several Benfica players in action against Belenenses on Monday. According to the paper, United are keen to sign Joao Felix and Ruben Dias, who have attracted the attention of numerous clubs in Europe and are also reported targets of Juventus. Dias, 21, is a Portugal international and has played more than 70 games for Benfica since making his debut in 2017. He has a €60m release clause. Portugal under-21 international Felix is in his debut season and has a €120m release clause. An unhappy reunion for Ceballos? Not everyone in Madrid will be celebrating Zidane's homecoming, with Marca reporting that Dani Ceballos faces a potentially unhappy reunion. Ceballos has become a regular but endured a turbulent start following his 2017 arrival from Real Betis and revealed earlier this season that he had a poor relationship with Zidane. "I asked Zidane why I wasn't playing because I didn't understand it. He told me he valued the players ahead of me," he said in September. "There was a time in the season when [Luka] Modric and [Toni] Kroos were injured and he changed the system to play other players. That burns you a bit and it hurts. "He was clear with me and I'm not bitter, when I was little I watched him and he was always a star wherever he played. Maybe he doesn't know how it feels as a player to be on the bench. It will help him in the future to not make the mistakes he made here." Ole Gunnar Solskjaer's likely appointment as Manchester United's permanent manager is bad news for Alexis Sanchez, , says the Sun. It reports that Chile international Sanchez, who has struggled to make an impact since arriving from Arsenal last year, may be forced to leave on loan in the summer. Old Trafford chiefs are reportedly hoping to get Sanchez's wages of around £25 million per year off the books and will look to tempt potential suitors by offering the 30-year-old on an initial loan deal. - Inter Milan will try to convince Monaco to lower their asking price for winger Keita Balde, according to Calciomercato. The Nerazzurri have already paid a €4m loan fee with the option to trigger a €30m buyout for the Senegal international at the end of the season. - Manchester United's pursuit of Aaron Wan-Bissaka has intensified, with the Sun saying scouts have been keeping tabs on the Crystal Palace defender in recent weeks. But the Red Devils will face opposition from Premier League rivals Arsenal and Manchester City for the 21-year-old. - Brendan Rodgers knows Leicester will have to pay a significant fee to make Youri Tielemans' loan move from Monaco to the King Power Stadium permanent. He is valued in the region of £40m, according to the Leicester Mercury. - Matthijs de Ligt will join Barcelona ahead of Juventus in the summer, Calciomercato reports. The central defender has also been a target for some of England's top clubs and Bundesliga champions Bayern Munich.